Curious George Fire Dog Rescue by H. A. Ray. A CGTV Reader. Review: Do you love chapter books with comic-like pictures? What about books about craft fairs and making friends? If you do, then Just Grace Gets Crafty by Charise Mericle Harper is the book for you. Just Grace Gets Crafty is about a girl named Grace (Everyone calls her Just Grace) who loves to draw. One day, Just GraceÕs friend Mimi tells her about the craft fair. Mimi says that they will be able to keep the money they make to bring to the county fair. Just Grace is excited but she is not very good at crafts. Will Grace be able to help Mimi make crafts to sell at the fair? Just Grace Gets Crafty is suitable for an audience of elementary school readers. Grace is a very kind person who tries to solve all of her problems. Just Grace Gets Crafty has Just GraceÕs drawings on the pages to help tell the story. The drawings look a lot like drawings or cartoons that were drawn by a person like Just Grace. Just Grace Gets Crafty is an easier chapter book to read although it might have some harder words for newer readers. I enjoyed reading Just Grace Gets Crafty and I think you will as well. Review written by Ansh (6th grade student). 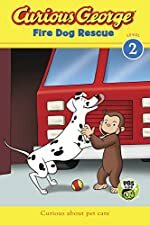 We would like to thank Houghton Mifflin Harcourt for providing a copy of Curious George Fire Dog Rescue for this review. Have you read Curious George Fire Dog Rescue? How would you rate it? Just Grace Gets Crafty by Charise Mercile Harper. A Just Grace Book. 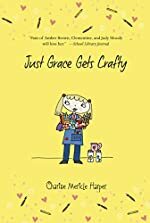 We would like to thank Houghton Mifflin Harcourt for providing a copy of Just Grace Gets Crafty for this review. Have you read Just Grace Gets Crafty? How would you rate it? 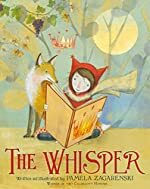 The Whisper by Pamela Zagarenski. Review: Do you like fantasy books with awesome characters? What about books with pages full of detailed pictures? If you do, then The Whisper by Pamela Zagarenski is the right book for you. The Whisperis about a little girl who finds a special looking book in her classroom at school. After taking the book home, the girl, sadly, finds that there are no words in the book. Then, the girl hears a whisper in her ear. The whisper tells her to create her own stories using the pictures. As she turns each page, she makes a new story. The Whisper is a book primarily intended for young children who can read or as a read aloud book. The Whisper has pictures on every page and has a more difficult vocabulary for young ones just learning to read. The Whisper is full of imagination and has very colorful and detailed pictures. The pictures are very fantasy like. I believe the moral of the story is even though you donÕt know what to do, you can rely on your imagination. I enjoyed reading The Whisper, and I think you will too. We would like to thank Houghton Mifflin Harcourt for providing a copy of The Whisper for this review. Have you read The Whisper? How would you rate it? The Rosmary Spell by Virginia Zimmerman. Review: Do you love books about magic and mystery? What about stories with strange old books? If you do, then you will love the book The Rosemary Spell by Virginia Zimmerman. The Rosemary Spell is about a girl named Rosemary and her two friends Adam and Shelby. All of them love books and always read together. One day, Rosemary and Adam find a very, very old book in RosemaryÕs house. They think the book could be magic, but Shelby does not believe them. When Shelby goes missing, Rosemary and Adam know that something about this book is special. 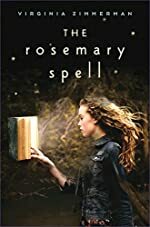 They go on a frantic quest to bring Shelby back.The Rosemary Spell is primarily intended for a middle school audience, although adults would like it as well. Rosemary is a very determined person and makes sure that she and Adam stay focused during their quest. The Rosemary Spell is written in the first person. Rosemary is the person talking throughout the whole story. The Rosemary Spell has no pictures and a more difficult vocabulary. The Rosemary Spell is a book about being courageous and caring. I believe the moral of the story is that you should be careful of what you do before you do it. We would like to thank Clarion Books for providing a copy of The Rosmary Spell for this review. Have you read The Rosmary Spell? How would you rate it?